For almost two weeks you could vote for the Most Promising RPG to be released in 2010. Besides that, we as editors also voted for the games that we thought will be the best RPGs in 2010. After a long development, Iron Tower recently released a Combat Demo to showcase the game's development and seek feedback. Despite being limited to that one aspect of game play, the demo obviously struck a chord – or reassured our readers – because The Age of Decadence was well in front of the Most Anticipated vote. Yet it's not the combat that most fans are anticipating. The promise of varied classes that really play differently (how many games offer a Grifter class? ), different solutions to quests, deep factions and a well-developed diplomacy path...well, it's almost the Holy Grail. Will it live up to that promise? We'll have to wait and see but it's clear a lot of thought has gone into the script – just look at the basic approaches to some ruins: infiltration, use trading skills, kill everyone, leverage another group or use persuasion or charisma. Good stuff. There's a fair chance you're playing Mass Effect 2 right now. No doubt the impending release had a big impact on the vote but for sheer production, it's hard to beat Mass Effect - grand space opera and cinematic dialogue combine for an action-packed ride. Perhaps the killer feature is the ability to import saves from Mass Effect and have the choices from that game flow across – something we'd like to see more often. What happens when you combine the open-world exploration of Fallout 3 with the more story- and character-driven approach of Obsidian? It's an intriguing prospect. One also imagines Obsidian has a unique passion for this project, with key personnel having worked on Fallout 2 and Black Isle's own cancelled Fallout 3, code-named Van Buren. Information is just starting to come out and while we wouldn't expect to see wholesale changes to Bethesda's successful Fallout 3 formula, we can't wait to see some of Chris Avellone's writing and the system tweaks we'd expect from Project Director J.E. Sawyer. 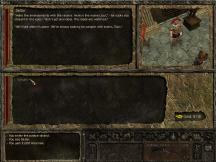 The year 2009 marked the return of the classic pen & paper RPG franchise The Dark Eye to the PC. Bringing Drakensang: The Dark Eye to the market was a difficult birth. Developer Radon Labs had to shop around for years until they found a publisher willing to take the risk to inject new life into an old franchise, without scaring away the tradionally conservative fan base. dtp and Radon Labs delivered a very polished, story-driven party RPG with solid RTwP combat. It turned out the demand for old fashioned RPGs had been underestimated - Drakensang became both a critical and commercial success. The prequel Drakensang: The River of Time promises to consequently improve the few weaknesses the already good predecessor had: full voice-overs will be added, unnecessary walking drastically reduced, storytelling and the interlocking with the Dark Eye system improved, character creation expanded and alternative solutions for many quests implemented. The game is due for release in Germany in mid February (international release dates haven't been announced yet). All other games scored a percentage of less than 2,5%.